We have glowing testimonials from leading national household names for the carpentry packages we have undertaken. All of our skilled team are experienced carpenters, having worked on a variety of housing developments ranging from smaller projects of 3 dwellings to larger developments of 150+ houses. Most of the sites we work on are in the Northamptonshire and Bedfordshire areas, however we travel further afield when required. Mills Carpentry & Building would be pleased to tender for any work in the Northampton area. You can be sure of a very competitive price and references from previous clients are available. 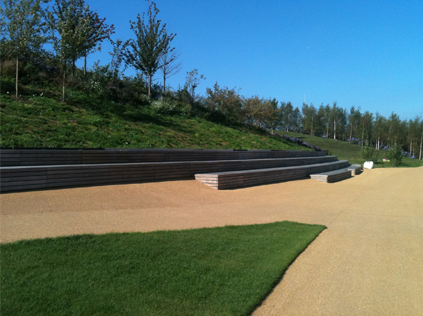 We had the pleasure of working on the North Park Olympic Stadium with Frosts Landscapes. 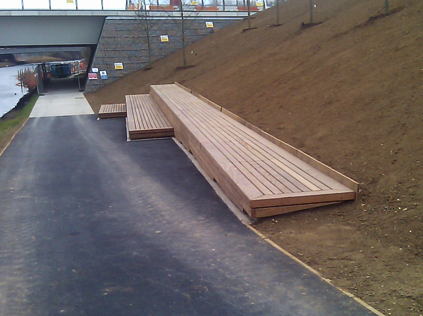 The photo shows the benches made for social seating so that viewers could watch the Olympics on large screens. The benches were made from Camuru which came all the way from Brazil. 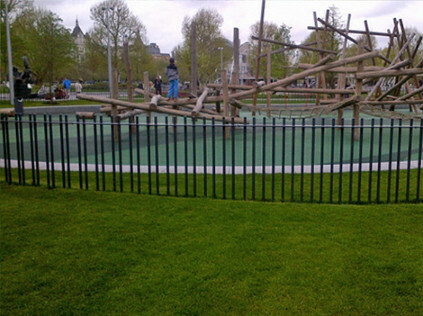 The wood was extremely durable and we went through many saws during the construction process! 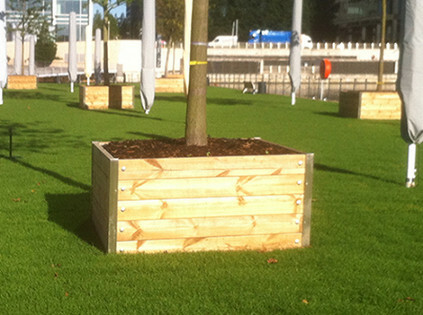 We have worked alongside Frosts Landscapes for a number of projects including Canary Wharf - making benches, planters, large sleeper planters and the fencing for the Jubilee Gardens next to the London Eye. We are very much looking forward to future projects with Frosts. Frosts Landscape Construction Ltd has been commissioned to build 8 beautiful gardens for the ITV ‘Love your Garden’ series. Mills Carpentry have been chosen to assist with the making of the gardens specifically for the timber work. 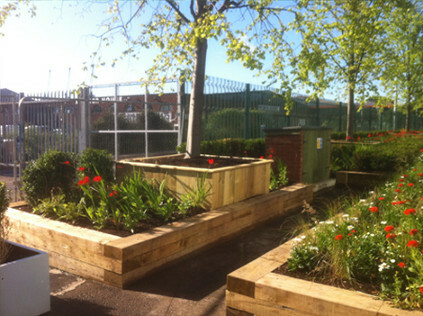 Our Director, Martyn Mills and Shaun Markie will be working alongside Frosts to assist Alan Titchmarsh and his team to give eight worthy families across the UK and amazing new outside space. We look forward to watching the series in July.